I cannot take credit for these insanely delicious bites of heaven. Juli Bauer over at PaleOMG is the mastermind behind this dish. She’s also wickedly funny, so check her out! So, as you know, I’ve been prepping meals for the week during my Mondays. 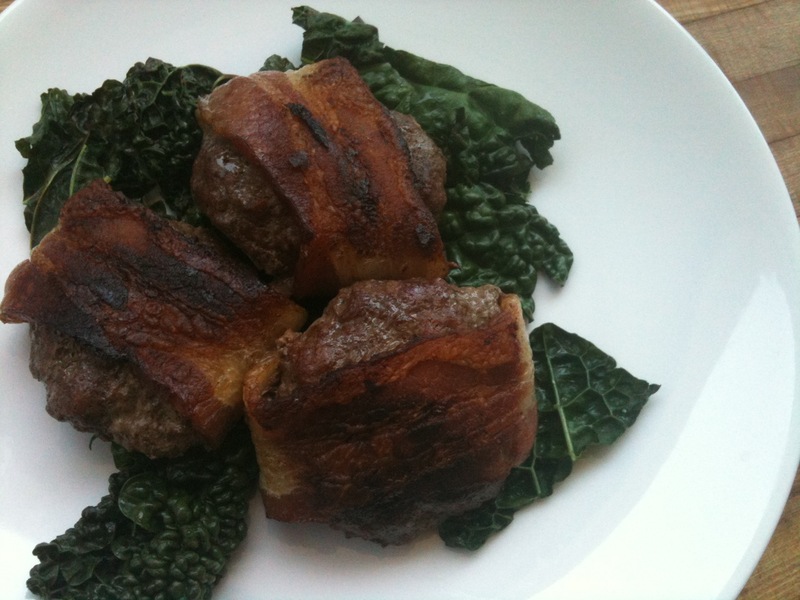 Well, last week I made Rosemary Bacon Sliders and no joke, I wish I had made them for lunch and dinner everyday. I love rosemary. I love bacon. I love burgers. This meal was like, my food soul mate. So, I hope you enjoy it as much as I did! These would be great for a quickie breakfast or snack item! One little note, when bacon is included in a recipe, I like to remind folks out there to get QUALITY bacon. I know us paleo people can throw back pounds of bacon at a time, but seriously, from a nutritional standpoint we need to ease off a bit. 1. Conventionally raised pigs (like chickens and cows) are not treated well in the United States. Don’t support the people who are selling crappy products, torturing innocent animals, and ruining our environment. 2. They are also not fed well. The things an animal eats must be filtered and processed in the body (duh.) and when there are toxins present, do you know where they are stored? IN THE FAT. Well, seeing how bacon is primarily fat, wouldn’t you say that you’d like your pig (turned bacon) to have eaten as cleanly as possible? yes, me too. 3. They are mostly fed corn, soy, and other grain meals, products and by-products. That’s a heavy Omega 6 load that is also stored in the FAT. Get quality bacon and enjoy it in moderation. Not because saturated fat is bad for you, but because the nutritional value of conventional bacon is not doing you any favors. Need more proof? Here’s a good little read about bacon from the most beautiful people in Paleo, Dallas and Melissa at Whole 9. In a bowl, combine beef and spices and form into 2 oz. patties. 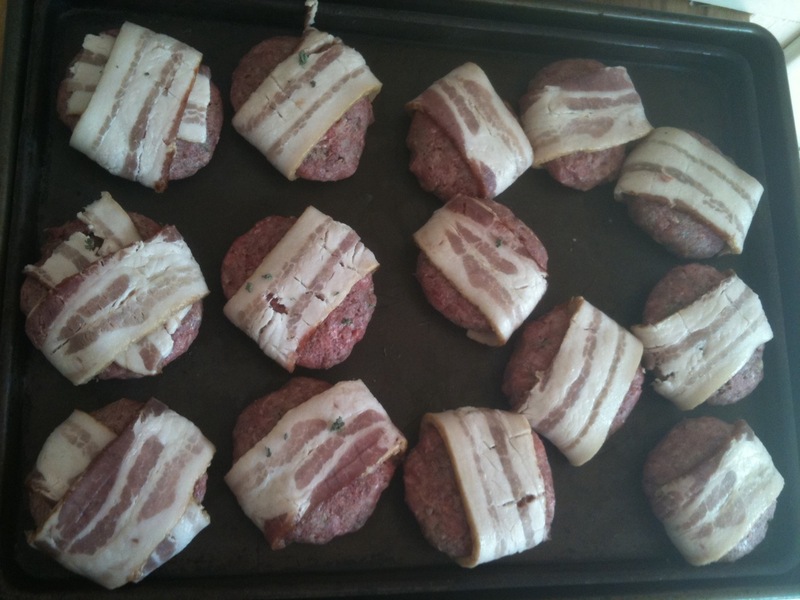 Cut bacon strips in half and wrap them around the patties. 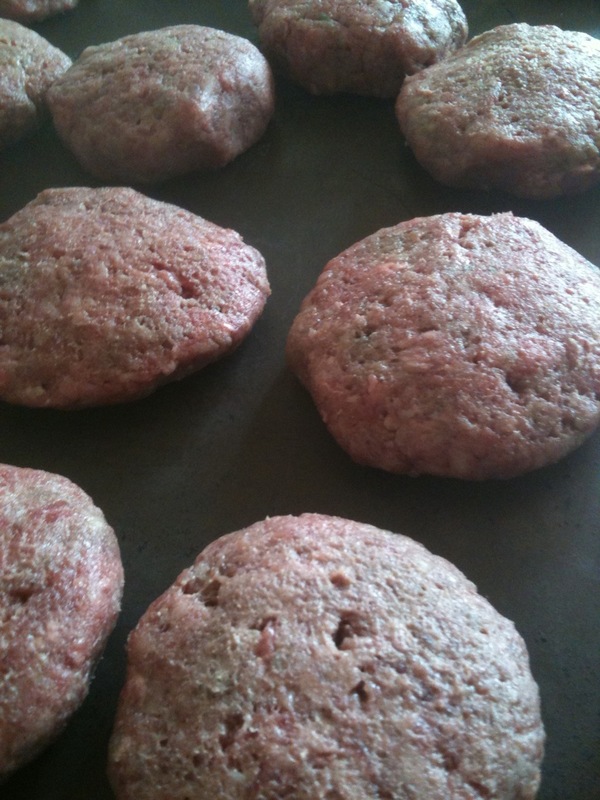 Place patties on a baking sheet. 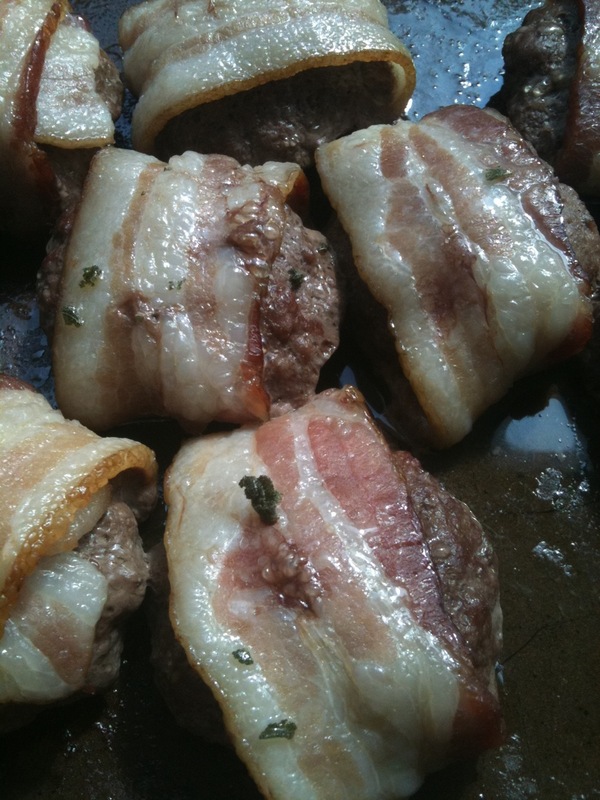 When ready to eat, place patties, top down in a hot skillet to crisp up the bacon. Serve with eggs or some sweet potatoes with cinnamon and pecans. Yum!